One of these days my comments about oil & gas might land me in some hot water. Over on LinkedIn, I tend to comment quite a bit about Petronas and Malaysia oil & gas & LNG. That's simply because I have a lot more Malaysian connections on LinkedIn than I do here on Oil Price. And some of my comments on LinkedIn have gotten "disappeared" in the past on "touchy" topics. Anyway, my latest comment on LinkedIn may rile a few Petronas staff, but as many of you already know, I'm not a big believer in not speaking my mind. Regardless of what Reuters or The Edge or any media say, I tend to think the abrupt slowdown in natural gas / LNG in Sarawak is due *at least in part* to the dispute over oil & gas (and LNG) rights and royalties, between Petronas / Federal government in Peninsular and Sarawak. Malaysia is one of the largest exporters in the world of LNG. And all of Malaysia's LNG exports come from MLNG in Bintulu, Sawarak. I remain unconvinced that the O&G dispute and the O&G slowdown are totally unrelated. Just my opinion; as always, you are free to disagree. Most governments are corrupt. Why does anyone find your statements controversial? What do they hope to accomplish by suppressing your opinion? In Southeast Asia, it can be a short road to trouble to criticize government leaders or government projects. Insulting the King in certain Asian countries can land you in prison for many years. I've had some of my earlier fiesty comments on LinkedIn "disappeared" last year, most likely due to getting flagged by others who didn't like my remarks. This year I started keeping my remarks on LinkedIn a bit more restrained, because it was annoying getting my comments gone. Yeah, I am actually connected with a few of the LI engineers and have discovered quite a bit about how the new system works. If it was "only" algorithms, then I would have less concern. Unfortunately, it is the "LI human filterers" that you have to gain a pattern of trust with (even though most don't even realize these "filterers" are in place); therefore, until you show a pattern of normal behavior and generic posts...at least until they divert their focus to something else... then yes, you do run the risk of content "they" don't agree with getting removed or "disappeared" on you. The best away around it is to post generic content, positive nonchalant stories and other middle of the road topics; that is, until you build a following. Then, after awhile you can become more "you" and throw in the occasional post that aligns with your passion...stuff that your following will latch on too quickly and garner a lot of views / likes / comments. Doing it this way, the LI police can't react and your stuff stays. The crackdown / shadowbanning on dissent and "unpopular" views by internet companies seems to be increasing recently. Yesterday, one oddball crackpot on LinkedIn was summarily wiped out after attacking some poor oil & gas guy who questioned him. I saved a bit of this oddball's work for my own anusement, but even this morning, deletion of Nigel Cheese articles is ongoing on Google and LinkedIn. I posted a bit of this guy's wonderfully wacky crackpot stuff this morning in a different comment. 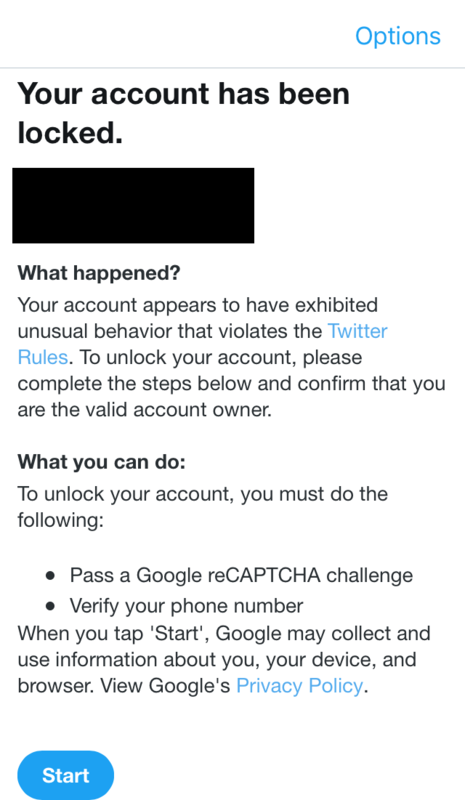 Speaking (with "@jack" to get attention) against blocking several antiwar figures on Twitter got my account locked for "unusual behavior". I grow up in "1984" - feels like its upon us again. We should remove all p﻿ublic funding﻿ from these highly politiciz﻿ed organizations. Never going to happen. But I like how you think! The best thing we could do for US education is to unsubsidize it, though I am not sure if cutting all funding would be the best way to incentive competition in schools. What do you think about awarding government funding ONLY to the brightest and best students? Let's say...the top 5% students at each college with the highest GPA get their tuition paid, no questions asked. That could create competition as students attempt to compete for those scarce dollars. To support this idea, let me tell you a story of one of my experiences in college. It was Economics 101. I diligently arrived at class early, took notes and studied hard for the test. I sat next to a guy who rarely showed up for class. When he did show up, he would often use class-time to take a nap. We took our first test after a few weeks, and when the tests were handed back, I saw that he scored 29 out of 100 points (every question on the test was multiple-choice, A - D). I had gotten a 135%. You see, the professor had allowed us a 5 point extra credit question, and then after that, she curved everyone's grades to make sure that everyone passed. As a result, everyone received an additional +32 points, literally for no reason at all. That pushed my grade to 135 points out of 100. I told the guy sitting next to me that he would learn more if he actually showed up (or even stayed awake) for class. I also asked if he had read the chapter before taking the test, and he replied that he didn't even buy the book so he couldn't read the book, let alone study for the test. I replied that he should put more effort into learning since he was paying a lot of money to take this class. He replied. "I passed with a 61, and no I'm not paying for it. The government is." Again, his reasoning: "The government is paying for my classes, so why should I try?" Shadowbanning and stealth censorship by tech giants is not imaginary. I'm really getting annoyed at the increased stifling of "unpopular" ideas. Intriguing idea there, Epic. Meritocracy in action. Every student gets a fair shot at a free education. A literature class at Davidson College this fall will use “contract grading,” allowing students to pick ahead of time their grade for the class and the workload they need to complete to earn it. The offer is posed by Professor Melissa Gonzalez for her Introduction to Spanish Literatures and Cultures course, SPA 270, at the private liberal arts college in Davidson, North Carolina. She is one of several professors across the nation who allow this pick-your-own grade method, billed as a way to eliminate the student-professor power differential and give students control of their education. But critics contend it is just another example of how colleges coddle students from the harsh realities of the real world, which includes competition and goal expectations. ... But not all students are convinced it’s a good idea, including Davidson College senior Kenny Xu, who is majoring in mathematics. I hope my VPN is working properly, because your comment is spot on. And the power you speak of is normally and frequently abused by those in power to cover almost anything said that is directed towards any part of the "leadership". Hey, if the country is called a kingdom, anything said against any of its agents can grossly be said to fall under this rule. Right? Wrong. Perhaps you need an "attitude adjustment" down at the military barracks, which is at least a less severe punishment, or at least for a shorter period of time (say a few days to a couple of weeks!). The self admitted goal of some of these leaders is to install and control an internet gateway, or what others call the (local) Great FireWall of China. I don't even know if a VPN can help if they ever get that in place (if it's not already). Thought control is alive and well, carry on (we're listening anyway). Having said that, most advanced governments, and I'm sure anybody else with the right sums of money, have been eavesdropping on us for decades. Once one accepts that as the norm, one can act accordingly. This is a good place to add that I am truly thankful for all of those people around the world that fight these issues on behalf of the rest of us. Hopefully they can at least slow down this intrusive form of control, though I believe it is ultimately hopeless. I understand, as do you Tom, that your comments down there prick some very powerful people, and others that may not be as powerful but at least have great sums of money to either lose or gain. Be careful, my friend! I went to college for 5 years and gained 2 degrees and 2 licenses from the FAA, and I could not have even been there if it had not been for Pell Grants and student loans. I paid back all my student loan debt within about 3 or 4 years after graduating (don't remember exactly), but I was by then working for a major multi-national, living/working overseas tax free (due to U.S. tax laws and a relatively low salary) and being single. The debt I hear about U.S. students having to accumulate over 4-5 years today is staggering, and they say it takes many of them a lifetime to pay it back. I also remember that a very large % of students back in my time defaulted on the loans and were somehow forgiven by the government. Anyway, if a person does not get a higher education today (true for most of us), they will have a very hard time in life. I did not meet any freeloaders like you describe in your comment, but I'm sure they are there. There's always some rat taking advantage of a system set up to help people that truly appreciate the leg up. I understand﻿﻿, as do you Tom, that your comments down there prick some very powerful people, and others that may not be as powerful but at least have great sums of money to either lose or gain. Be careful, my friend! Thanks for that, Dan. I know you have travelled all over the world. You obviously understand that the freedom of speech that many Westerners tend to take for granted are not common in Asia or in large parts of the rest of the world. Note that a few months ago, federal elections were held here in Malaysia and the ruling government coalition which had been in power for 60 years was peacefully voted out of power. So there is hope that things can get better. I will just say that your post absolutely shows that issues can be discussed in a rational way and solutions found. Unfortunately, at least for the U.S., politics that are both irrational and untrue would pick your ideas apart and discard them as quickly as you even mentioned certain words, like "vouchers", as one example. So society is what it is, and because of that, people must occasionally lead. That brings us to persuasion. To the liberal, I would describe how the system would funnel money to poor communities and provide opportunity to everyone - which is true. To a conservative, I would describe how the system would promote choice, invest in practical skills, and support blue-collar workers - which is also true. The key here is that everyone gets both what they want and what they need. I just have to find the words to persuade them. Sorry to be negative, but if one side found out you talked to the other side and they agreed with you, you'd be finished in their camp as a liar and traitor. I sincerely hope you find the words, but that divide in our ranks is deep, people are quick to judge and you only get one chance, or so it seems to me. This makes it difficult for me to go home for a visit (I've lived most of my career outside the U.S.) and discuss any issue with anyone, even though most of the time I am politically neutral. Neutrality and open mindedness seems to signal that one must be ignorant and should either be shouted down or ignored. Mr. Kirkman, I really enjoy the forum and I am learning so much from you and others. I read that article too, and upon reading the headline I was laughing. (as I believe you were) But after reading the article, I found that I DO approve. I think the author purposefully left out the part that the student doesn't get that grad just because they asked for it. When trying to "nudge" people along to a new idea or concept, well it helps if they are vested in the outcome. Think of it as a mission statement, or letter of intent, that is written by the student personally. There are some really wise people on this forum and I like a little bit of everything I have read above. I must point out though, that the Democrat Party is making huge moves toward socialism. They are openly embracing and admitting admiration for Socialist Principles. In example, to coin a phrase oft remarked by our last president, "A leveling the playing field...."
Which brings me round to my point. To socialists, its not really about equality of opportunity its about equality of outcome. Sufficient programs, checks and balances are in place, have been in place to help ensure that the hard cases, those born into poverty with little or no real chance; can buckle down in school, work hard and receive help along the way and achieve college educations or tech certifications or whatever training to enter the workforce and earn a good living. That's not what Socialists want and the evidence can be seen everyday across this country on college campuses especially, where the thought police shut down thought, which is what higher education used to include. Instead, now those campuses are used to indoctrinate to one way of thinking, to train the intolerant who claim to be tolerant. We have not been interested in our education system educating our students and teaching them to critically think and see other ideas and perhaps more importantly how to have an honest, intelligent, open debate about things in a very long time. No, socialists want canned outcomes. People who think the same way about everything. Free this and free that with little or no responsibility for personal outcomes. And its been really popular, I mean hell, its easy to sell the idea of free stuff and no personal accountability. Who doesn't want that? Until we admit that all this easy money that leads to loads of college loan debt and graduates who cant think critically and aren't really prepared for a job, is more about sending as many people as possible through the indoctrination processor, the intended outcome I would argue, we cant even begin to talk about how to fix it. Honest question: is "slow clap" a sarcastic response? I admit there's a sarcastic undertone to my thinking, but that's just because I don't care for politics. Seriously though, I'm just looking for solutions we can all get on board with. As long as it gets us from A to B, I don't care how we label it. In this case, no, quite the opposite. "Slow clap" here was used as applause for something remarkable, the opposite of heckling. Thanks for your kind words, Mike. This new-ish forum is becoming more interesting as users get more comfortable speaking their minds, and realizing they won't get ripped a new one by others if their points - no matter how popular or unpopular or far from mainstream - are presented clearly and logically. Agreed the article actually has some interesting and unusual ideas, but to me, it doesn't seem very suitable for real life. Too much leaning in the direction of everyone getting a "participation award" just for showing up. I wouldn't really trust a bridge-building engineer who graduated under the "I want a Grade B" type education to build a bridge for my car to cross over a mighty river. Maybe it's my grey hair, but I actually expect competence from professionals, and simply would not expect too much from a self-graded new graduate. Too much of that "participation award" skepticism on my part, I guess. Tom, you might be surprised to learn that the designer/builder of the Brooklyn Bridge never actually was an enrolled student in engineering school. He (I think he was Austrian) simply sat in on some classes, emigrated to America, then convinced some railroad to hire him to oversee the building of railroad trestle bridges out in Ohio, and then using that experience showed up in New York and convinced the City Fathers to hire him to go build the Brooklyn Bridge. Hey, it's still there, so looks like he figured out how to build your bridge, and never even made Grade "B". This thread has gotten seriously deep, with its investigation of political thought, upon which I reflect, this is why I remain a committed Monarchist. God Save King Willem Alexander! (My comfortable way of retreating from the messiness of "democracy.") Oh, well. Tom﻿, you might be surprised to learn that the designer/builder of the Brooklyn Bridge never actually was an enrolled student in engineering school. He (I think he was Austrian) simply sat in on some classes, emigrated to America, then convinced some railroad to hire him to oversee the building of railroad trestle bridges out in Ohio, and then﻿ using that experience showed up in New York and convinced the City Fathers to hire him to go build the Brooklyn Bridge. Hey, it's still there, so looks like he figured out how to build your bridge, and never even made Grade "B". Jan, tip of the hat to your ability to get me to pause and rethink my preconceived biases. Well done, again. Here's a hint for when I hope that a thread I start will veer off into unexpected and uncontrolled directions... When I start a thread entitled "Oil prices likely to hit $80 by Autumn" it's pretty obvious what the topic of discussion will likely be. Although any thread can veer off in weird and wonderful directions, having a specific topic in the title tends to keep things on topic. If you look at the title of this thread, it's providing no particular indication what the heck I'm planning to ramble on about. It helps encourage open discussions on pretty much any topic. Try it yourself sometime. Start a thread with an open title, and see if others jump in and run with it like a playful herd of cats. Sometimes it works, sometimes it doesn't. I love seeing a diversity of opinions, discussed logically and rationally. If this forum becomes an echo chamber where everyone agrees on everything, then heck I'll call it a day and stay at home playing solitaire instead - which would be less boring than unthinking agreement. Luckily, there is so far no danger of that happening here. The B student, on the other hand, is the picture of laziness. Doesn't care about excellence, doesn't care about the outcome, doesn't want to stand out. Just wants to get the job and be comfortable. In Canada, it was my observation that the "B" students (and enough "A" students to make me squirm) had no ambition other than to go to work for the Government - preferably the Federal Government. Good pay, some bureaucratic status, lifetime gig. I recall this high-powered leftist agitator at McGill in Montreal who, upon graduation, immediately went to Ottawa and got a job with the Canadian Broadcasting Corporation (CBC). He's probably still there, a lifer for the bureaucracy. So much for all that agitation stuff. I would be surprised if Americans are all that much different (although Canadians seem obsessed with government jobs, and buying life insurance. Why they all go buy life insurance is beyond me.). The ambitious guys that showed up at my plant for a job were the immigrants. Those guys all were serious about working. Tom, from what I can make of it, American society back in the boom of industrialization was all commanded by guys who had this paucity of formal schooling. Look at Carnegie, who became the richest man ever on the planet when he sold Carnegie Steel to J.P. Morgan, who in turn combined that with other steel plants to form U.S. Steel Co. I recall Carnegie showed up on the immigrant boat from Scotland, with no education and no money. Then you have Rockefeller, with his Standard Oil and his rail monopolies, and I don't think he went to college either. When you look around at the fortune builders, the lumber barons, the railroad men, the Presidents, these guys were not exactly alumni of some Princeton Eating Club. The Princeton crowd pretty much never left New York City and Newport, Rhode Island, and spent their time buying fancy wives and building mansions to out-impress each other. But the builders were these scrappy immigrants who washed ashore in America and were hired for energy and talent. The whole idea of "The Diploma" as a place-marker for intellectual development (and thus employability) is a post-WWII construct, and I put that down to inherently lazy personnel officers who were using a Degree as a substitute for taking personal risk in selecting good management candidates. From there it spread into the various bureaucracies, including into the FBI, where at one point you had to have a Law School degree to apply (!). So, busting rum runners over the Canadian Border required a Juris Doctor. Only a bureaucrat could come up with such nonsense. When I hire guys, I don't even ask about college work, and I never ask for transcripts, not interesting. What has this man done with his life? That's what counts. (What I don't hire is people who drink, as those people are irresponsible and go do hit-and-run crashes, it never ends with drunks). In my view, colleges should not issue grades, it demeans the quest for knowledge and understanding, and contaminates the education process. And they shouldn't issue diplomas, either, for the same reason! Out in the field is the place for me. Be a player that at least makes a difference once or twice a month! 😎 I'll never forget a call I got years ago. I was in China and it was 3 o'clock in the morning. The call was from Cincinnati and it was some guy in my company that I had never communicated with before. He had received an order from my local airline customer for a mod kit and he just wanted to check on a bolt part number to see if it was correct! I don't think he expected the earful I gave him. Even then, you could check on time zones pretty easily. For those of you in Western countries who tend to take Freedom of Speech for granted, note that simple trolling here in Malaysia is technically illegal. Penalty up to RM 50 (around USD $12k) and 1 year in prison. What is MCMC's jurisdiction in addressing complaints about offensive content in the Internet? (1) No content applications service provider or other person using a content applications service, shall provide content which is indecent, obscene, false, menacing, or offensive in character with intent to annoy, abuse, threaten or harass any person. (2) A person who contravenes subsection (1) commits an offence and shall, on conviction, be liable to a fine not exceeding RM50,000 or to imprisonment for a term not exceeding one year or to both and shall also be liable to a further fine of RM1,000 for every day or part of a day during which the offence is continued after conviction. And the penalty for publishing "fake news" (which is not defined) is RM 500,000 (around USD $120,000) and 10 years in prison. Knowing the harsh penalties here in Malaysia for using the internet for all out "offensive" or "annoying" or "fake news" posting, I'm generally forced to use some gentle laughing at absurdity rather than all out trolling. Oooh goody, another global conspiracy theory on LinkedIn! Ha-ha! "It can buy me a boat" Great song (link within the link Tom provided). And I just realized it fits: Malaysia is set to auction off a small fishing boat, I believe. The RM1bil “Equanimity” will be sold “ASAP” to the highest bidder to recover the stolen money used to buy the superyacht, said Tun Dr Mahathir Mohamad. Spending an hour on board, the Prime Minister, who is no stranger to yachts, was awestruck by the extent of its grandiose luxury. “It’s super luxurious. I have been on yachts before but nothing like this. Everything is superb, and bought with stolen money, by crooks. We’ll get the crooks,” he said after inspecting the yacht, berthed at the Boustead Cruise Centre at Pulau Indah here yesterday. Dr Mahathir said the US Department of Justice (DoJ) has assured Malaysia that the yacht belongs to fugitive businessman Low Taek Jho or Jho Low, bought using money stolen from 1Malaysia Development Berhad (1MDB).